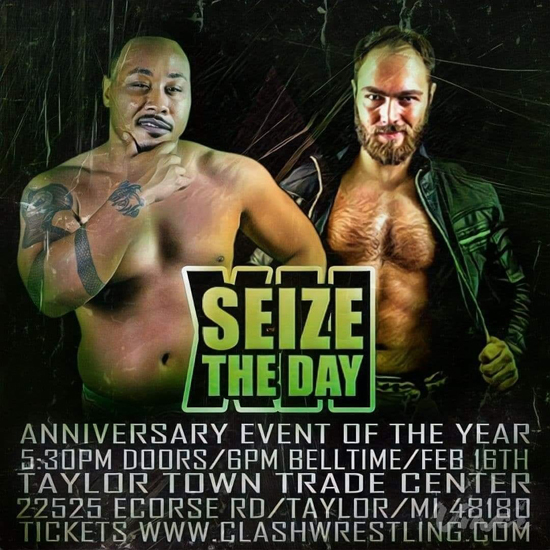 Seize The Day Match Announcement: Maserati Rick vs. Justin Mane! This one comes to a head at Seize The Day XII on 2/16/19 after two years in the making! An exhilarating 2017, “Mane Event” Justin Mane stood atop the CLASH mountain as a defending champion after an early comeback from injury. Mazerati Rick too was rising above an injury the same year after finding his groove in 2016. What began as a gesture from longtime mentor “Professor” Priest of offering Mane his earned spot for the gold in 2017, jealousy ensued with Rick. Both men’s journeys led to a collision in a triple threat including James Alexander at All Out War ‘17 with Alexander leaving with gold and career intact after putting it on the line. After a backfired assist by Rick at last year’s Seize the Day XI, Mane succumbed to Alexander again. The two attempting to team up in spring of ‘18 came to a halt when Mane was mysteriously attacked backstage, launching a manhunt for the culprit. Rick revealed himself as the guilty party last summer initiating a heated battle for revenge! 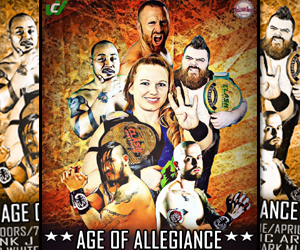 The two have viciously been at each others throats since, finally coming face to face during last month’s All Out War match; Mane’s revenge was derailed with an elimination. Seize The Day XII will bring together a rivalry fueled with jealousy, hatred, and intensity that we’ve not seen in a long time. Justin Mane, Maserati Rick, who will Seize The Day?